The recent onslaught of snow along the east coast has made headlines this week as roads and airports close. 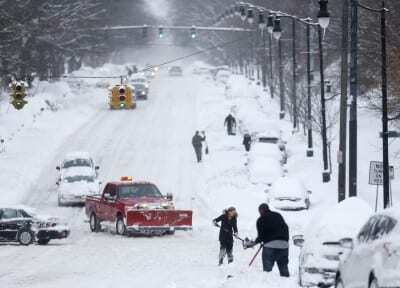 However, while the focus has been on the inconveniences caused to travelers and commuters, for the homeless population, severe weather can be a matter of life and death. Hypothermia and frostbite present a real threat to those with limited to no access to shelter. In the nation’s capital, measures are being taken to ensure safety for the homeless. According to a recent WTOP article, Mayor Muriel Bowser has implemented D.C.’s Cold Emergency Plan, requiring the homeless to seek shelter when the weather sinks to 15 degrees (20 with snow). Amizade’s Washington D.C. community partner, National Coalition for the Homeless, released a publication on Winter Homeless Services in 2010. 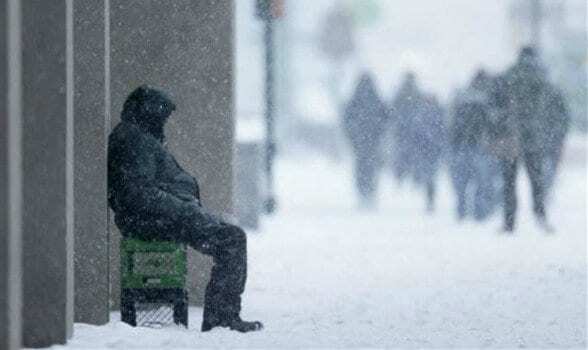 According to the report, “seven hundred people experiencing or at risk of homelessness are killed from hypothermia annually in the United States.” Shelters across the nation are trying to accommodate a growing demand for resources and shelter. Many of Amizade’s other community partners in D.C. are stepping up to ensure safety for the homeless population. SOME (So Others May Eat), an organization that provides daily services for the homeless population in D.C., is spreading word of the city’s hypothermia hotline, which encourages the general population to call if they see someone who is homeless on the streets without adequate protection and shelter from the snow. Central Union Mission is being creative and making room for 20 more beds in their space that usually houses 170 people. They are also handing out winter rescue kits, which include water, clothing, meal tickets, and other essentials. Rescue kits are made possible by individuals who donate on their website. Volunteer Coordinator Greg Rockwell of Thrive DC said their coat drive two weeks ago provided 380 coats and hundreds of hats, gloves and scarves to women, men, and children. Thrive DC also provides a van pick-up program, in which they locate and provide homeless people with blankets, water, and transportation to an emergency shelter when temperatures are below 32 degrees. Closer to home, Pittsburgh has a Severe Weather Emergency Shelter that provides shelter between November and March. SWES also has a 24-hour hotline, 412-779-1329, that provides information about shelter hours, locations, and availability. SWES is a component of Operation Safety Net, a homeless outreach program run through Pittsburgh Mercy Health System. Thrive DC: Learn about the most effective ways to help the homeless this winter here. National Coalition for the Homeless: Inform yourself about winter services and advocacy for the homeless here. Central Union Mission: Donate here to provide winter rescue kits for the homeless. So Others May Eat (SOME): Donate here to help provide food, clothing, job training, medical care, and affordable housing for the homeless. D.C. Hypothermia Hotline: Call 1-800-535-7252. Please be ready to provide the address and dive a description of the person’s clothing. SOME: Find out how to donate goods, from cereal to blankets, here.